[UPDATE] The final winning bid was for $99,900, at around 10:53 p.m. PST. We once saw someone put up an Ebay listing for a sandwich bag of air from Kobe Bryant's final basketball game as a Laker, so nothing should surprise you. 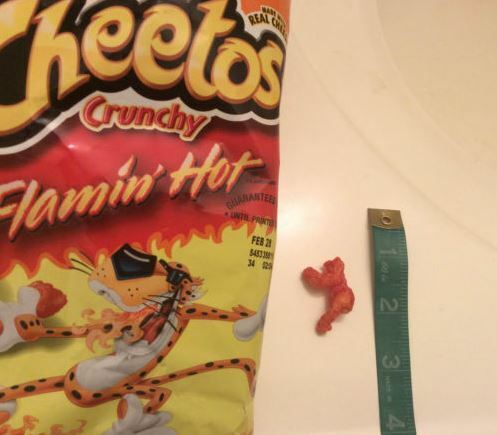 As of this writing, there is a fierce Ebay bidding war over a Flamin' Hot Cheeto that looks a hell of a lot like a gorilla. There have been 115 bids by 36 people trying to get their hands on the snack to end all snacks. 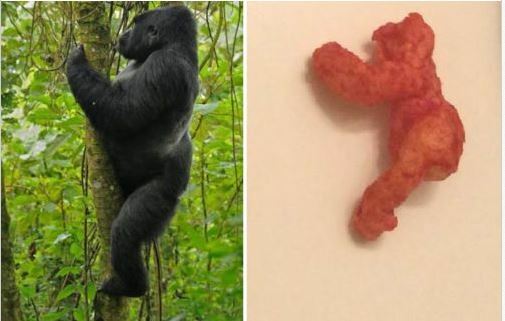 The photo on the listing even shows a gorilla hanging from a tree in the exact same position as the Cheeto, just to enhance the visual. It's described as "rare" which I guess is accurate, and they even threw Harambe's name in there, because everyone knows all gorillas on the internet are Harambe. The Burbank, California listing will be up until Tuesday, at 12:45 a.m. PST, and people have bid over $99,000 for it. My money's on this being a hoax. I don't know how Ebay regulates scammers, and fake bids, but if someone's actually trying to spend 100 grand on a Cheeto, we might as well give up on this world.